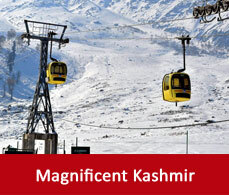 Gulmarg can be reached by various ways. A detailed Gulmarg travel guide has been shared with you attaching the route guide map to reach Gulmarg by various modes of transport for your convenience. Srinagar airport is the only nearest airport to Gulmarg. It is a domestic airport and is well connected to most of the major cities across India. 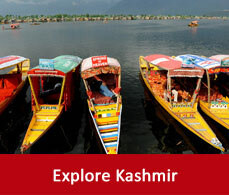 Regular flights are available from Delhi, Mumbai and Amritsar to Gulmarg. 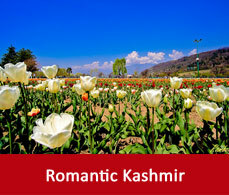 You can hire a cab from there to reach to Gulmarg and it will cost you around 1500 for one round. You can also hire a taxi which will cost you cheaper. Jammu is the nearest railway station which is 290 kilometres away from Gulmarg. It is connected to most of the major rail stations in India. Jammu rajdhani,Swarak express, Andaman express,Himgiri Express, and Himsagar express are the major trains available for Jammu. Bus services are available to Gulmarg from Srinagar , Sonmarg and other neighbouring towns of Kashmir.Deluxe and regular buses are available from Gulmarg which are both state run and as well as by private companies. From Srinagar it takes 1 to 2 hours to reach to Gulmarg. Though its is 57kms from Srinagar but it takes more time to reach there because of the high altitude roads. It is recommended to have well equipped tyres of the car which is fit to drive in this region.